The ultimate accessory for your Corvette C5 is not a new set of rims or anything else that goes on the car. On the contrary, apparel for your body is the true finishing touch. Most Corvette owners dream of owning one for years before finally making the leap. Once you've made an investment into the vehicle of your dreams, why not pick out some great-looking Corvette clothing to go with it? 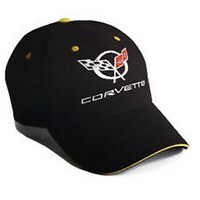 When you walk out wearing a Corvette C5 branded hat, sunglasses, or pullover, everyone on the street will stop and notice you. And more importantly, they'll notice what car you're proud to call your favorite. Even if you do not currently own one of these cars, you can still show your allegiance to the company with C5 Corvette apparel. This clothing is great to wear at an upcoming auto show but is also suitable for everyday activities, including your son's basketball game, shopping for groceries, or picking up your kids at school. 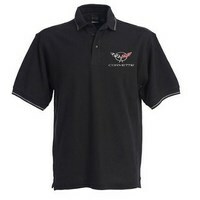 You can find almost any type of Corvette C5 apparel in many different sizes. No matter what your style or personal preference is, Corvette Mods has something that matches. 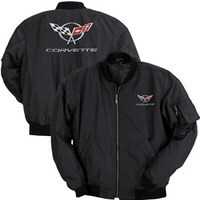 Our selection of Corvette outerwear includes a variety of full-zip jackets, pullovers, and hoodies for chilly weather. 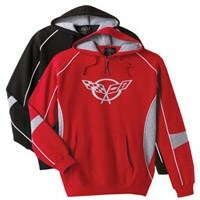 Embroidered leather jackets offer a sophisticated driving look while and microfleece jackets are great for casual days. We also stock aviator jackets, heavyweight jackets, satin jackets and windbreakers. When the summer arrives, browse Corvette-branded T-shirts emblazoned with the classic Chevy bowtie and other cool graphics. They come in colors ranging from standard white and gray to red, blue, black, and royal that match your car's paint job. You can even find embroidered polo shirts that are perfect work apparel. Turn any outfit into a driving outfit with gear such as Corvette caps, straw hats, patches and pins. These smaller items can make a big impression on anyone you meet. 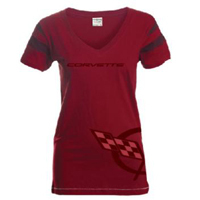 Corvette Mods also has a full line of women's Corvette apparel for the ladies who love these classic cars. All of our apparel and accessories are made of durable materials and feature the Corvette or Corvette C5 logo embroidered on the front. Whether you wear a shirt, hat, jacket or pair of sunglasses, you let everyone else know that you are a diehard Corvette fan.